I absolutely love sushi, cooked, raw, sashimi, you name it, I eat it. In the U.S. I am used to going into a Japanese restaurant, sitting down, and ordering sushi off of a menu. 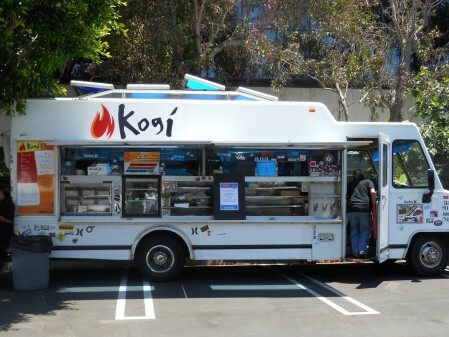 They make it fresh and bring it to your table. Nothing special right? 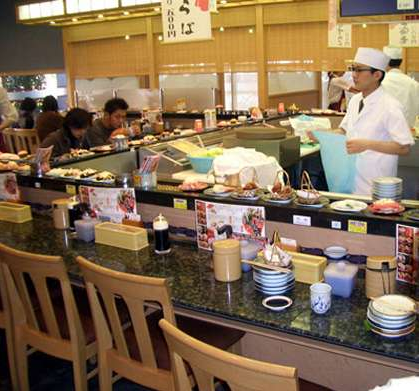 Well in Hong Kong I got to experience sushi – conveyor belt style! You sit at a rectangular bar sort of thing, everything that you need for your meal is right there in front of you. Green tea powder that you put in a cup and there’s a hot water spiget for you to make your own green tea. Ginger, wasabi, and soy sauce all there. And then the most important part, the sushi. They are continuously making sushi fresh and putting it on this conveyor belt that goes around the whole table. So you are sitting there with sushi galore passing right in front of you on the belt. If you see the one you want, just grab the plate off the belt and voila, its yours! The plate that holds the sushi are different colors depending on the kind of sushi it is. The color of the plate will determine the cost. So in front of you there is also a menu that lists out the color and how much that particular plate costs. The prices range from $1 to $5 a plate. They don’t collect the plates right after you’re done. When you are ready to leave, you separate all the plates that you have into the different colors. The waitress will then come and count the different ones you have and give you your bill. Someone like me, who loves the experience of taking it off the belt as much as I love sushi, can really rack up a bill at a place like this. =P So don’t go so crazy like me! But its definitely an experience to try! 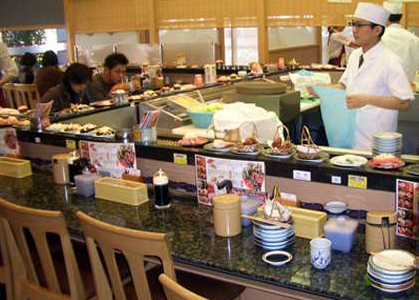 Sushi on the conveyor belt give you totally different experience, people have give a positive feedback definitely you will love it.